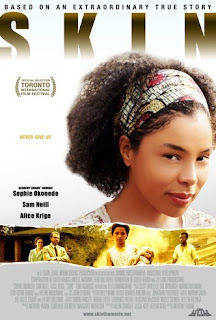 Anthony Fabian directs this drama based on the true story of Sandra Laing (Sophie Okonedo/Ella Ramangwane), a black girl born to two white Afrikaaner parents (Sam Neill and Alice Krige) in South Africa during the apartheid era. A genetic throwback to the mixed blood of previous generations of her family, Sophie's skin colour causes problems for her bigoted father and her all-white school, which expels her despite her family's attempts to have her classified as white. Later in life, Sandra again causes shockwaves when she decides to marry a black man and have herself reclassified as black.